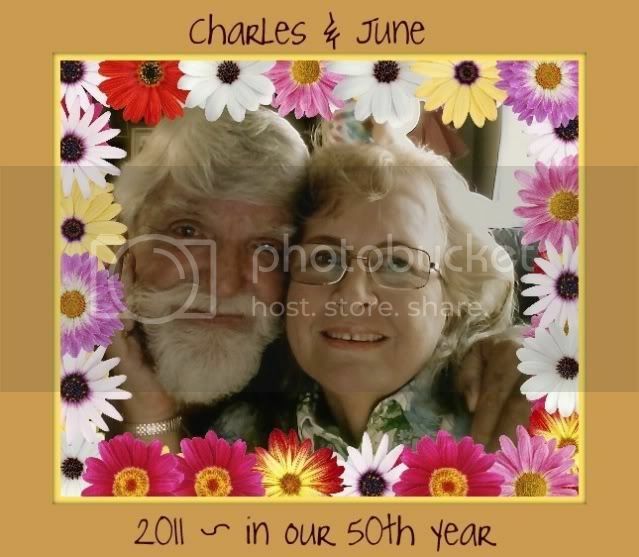 This is our place ~the old folks of the farm~ Charles and June. I hope you'll visit us often! The past few days we have had a LOT of rain, due to the tropical storm, "Debby." We have had no major problems, (thankfully) since we are not near the coast or any waterways! All we've had is inconvenience, and for that we should be thankful-and we ARE! We had power outages the past 2 nights. Each time it lasted just about 2 hours. Each time it was before my bedtime so I had to scurry around with flash lights, setting up candles and oil lamps. This time we got lucky - and it was soon over! Here are some pictures of my Mellow Yellow lights on our recent dark and stormy nights! was attracted to the light-and fell into the hot wax! Here, also, is a shot out my front door...not much yellow in this but it shows the rain and how my entrance courtyard looked! Friday's Fences_June 22, 2012_"Fences and Flowers"
At our place we have a 3 board fence along the front and sides. I like the rustic, country look of it and, no way would I ever want to trade for anything more fancy or elegant! of the Crepe Myrtle bushes that we have planted, both inside and outside the fence. This time of year they give us quite a colorful display! watched me from the safety of the enclosed courtyard garden area. Here are several views of the flowers and fence! This is a "Four O'clock" flower in the softest and sweetest shade of pink~ and has the sweetest aroma, too! This flower grows wild around here and comes back each year, where ever it chooses! :) I don't mind where it wants to grow ~ I just let it be! This one grows right up through a RED Crepe Myrtle bush in my front yard! We have several colors of Crepe Myrtle at our place. Here are two, in shades of pink! This dark pink one is an old fashioned type that is constantly in bloom. It grows right beside a Honeysuckle vine. They suggest that C. and I need them, too! I only have need of a cell phone about one day a week when I go out shopping...to call home and make sure C. is availa ble to help me unload the groceries when I get home! :) I have a cheap cell phone that has no idea how to do all those 'smart' things my kids show me that their phones can do! I DO think we have gone a little wild in these modern times with the things that we've grown to consider our necessities in our lives! This is the only Blackberry I know. A few days ago I went down to the pasture with my husband to check on the cows, and particularly, the new baby girl! Well, I have posted about her before, but not for a little while...and maybe not on this blog or for this photo challenge. We named her April...because she was born in early April! It always amazes me how quickly new babies become just one of the herd! What's really fun is to have 2 or more babies in a herd at the same time. They frolic and play together, just as all 'kids' do. "Peeps" are still around from Easter...bunnies and chicks in pinks and lavender and yellow...but they're going fast!! Married - 3 kids - 5 grandkids. I love family times! 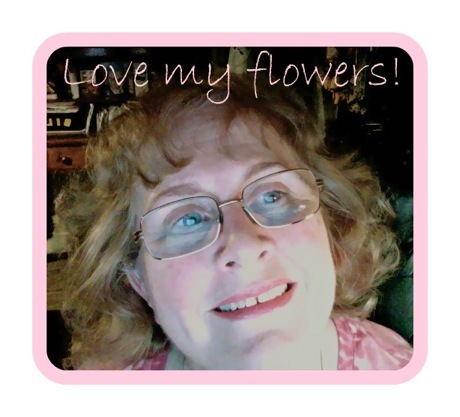 Join me on Facebook, too! These are some Awards and other neat stuff that I have received -and kept- along the way! !